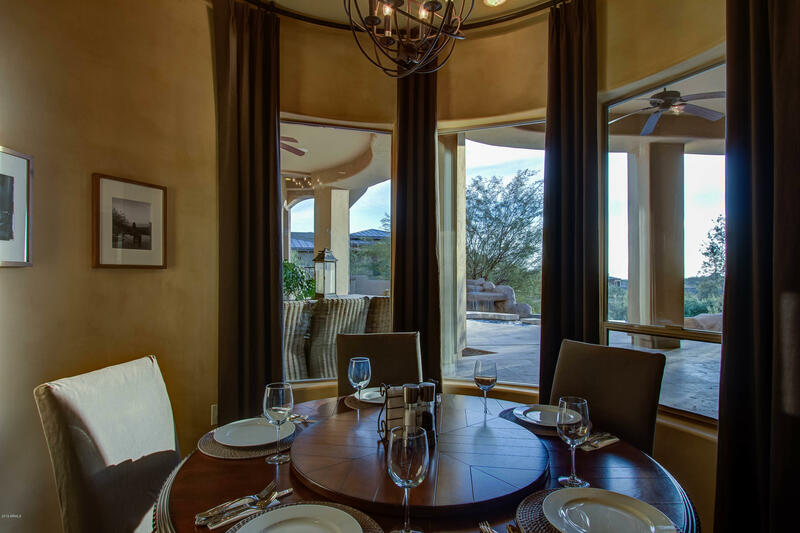 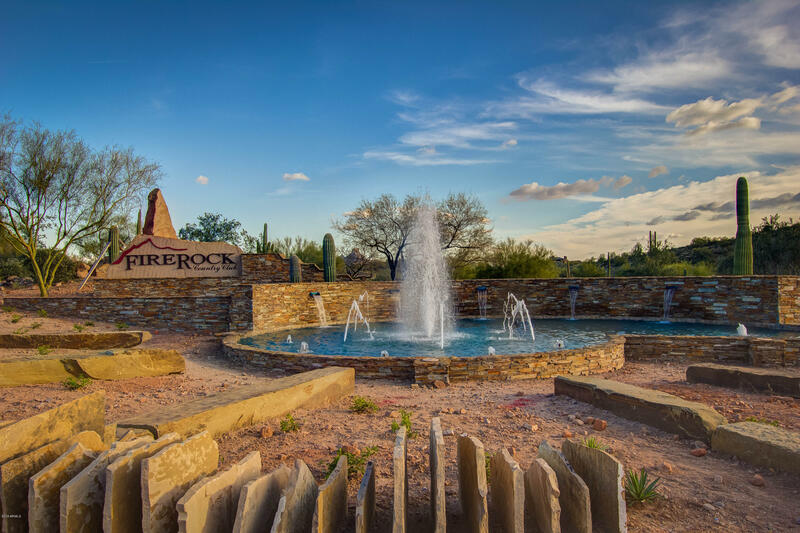 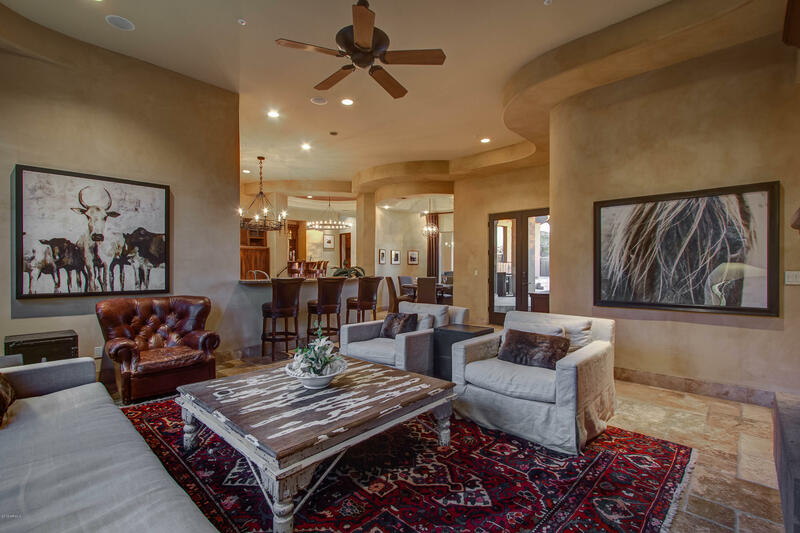 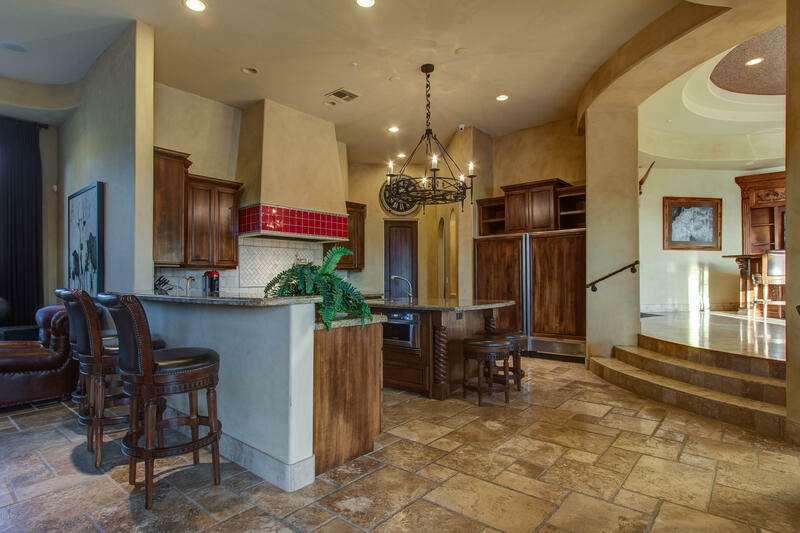 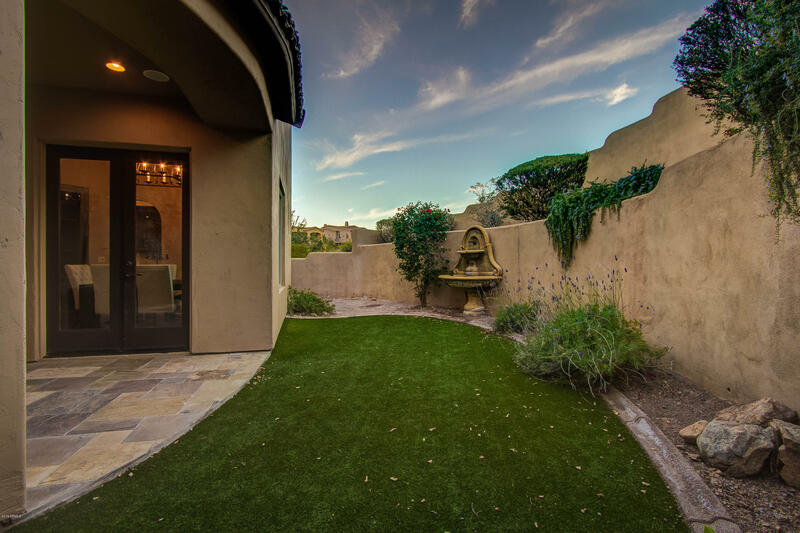 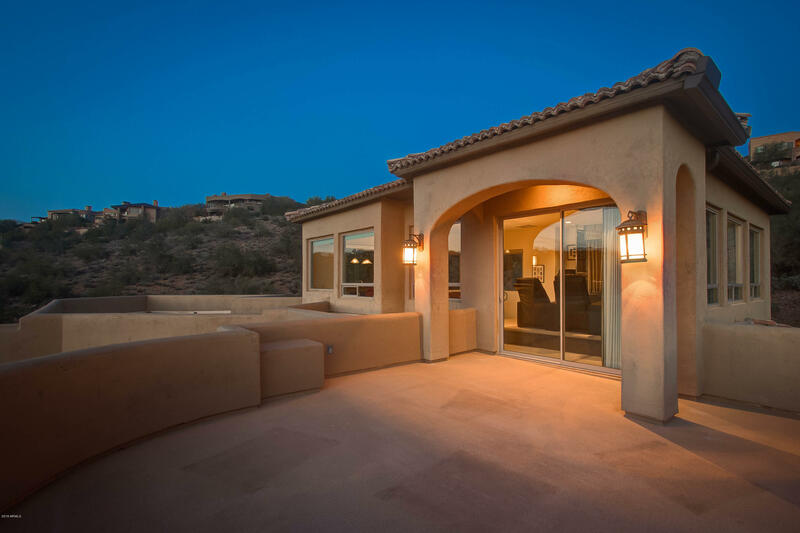 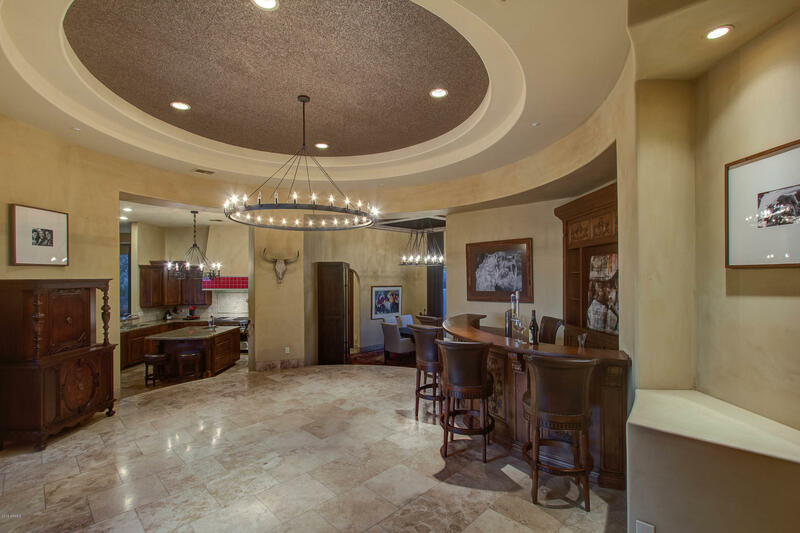 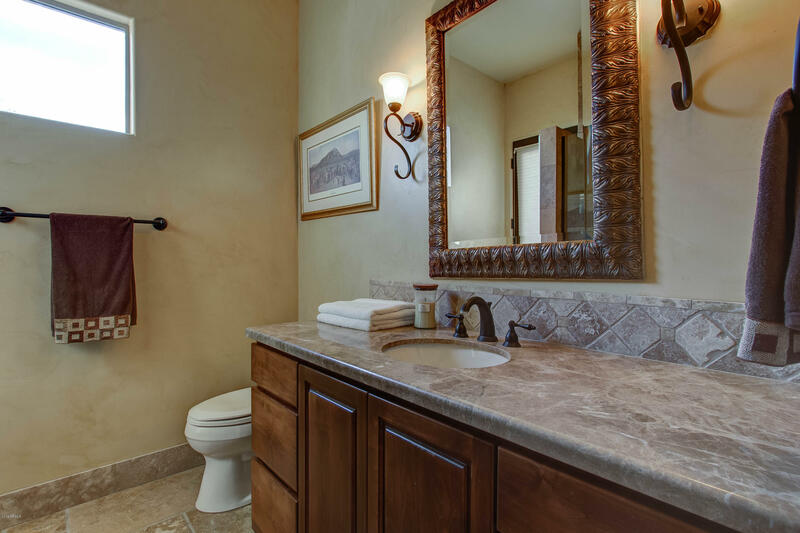 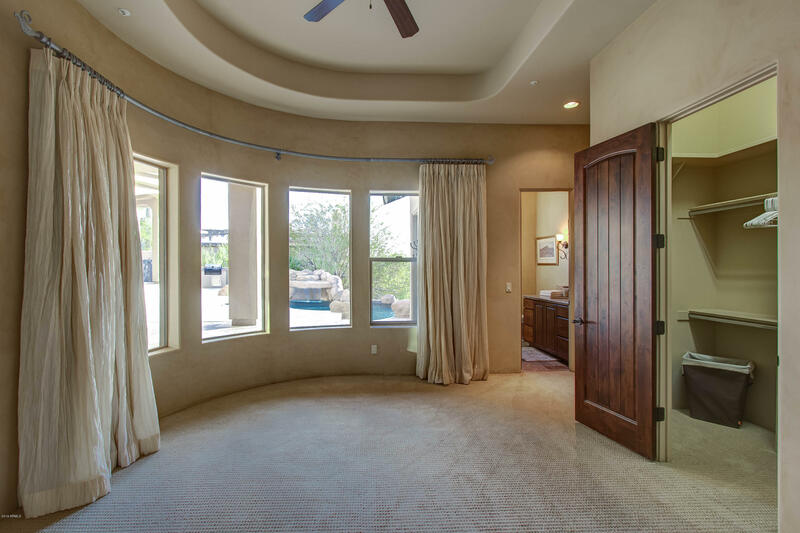 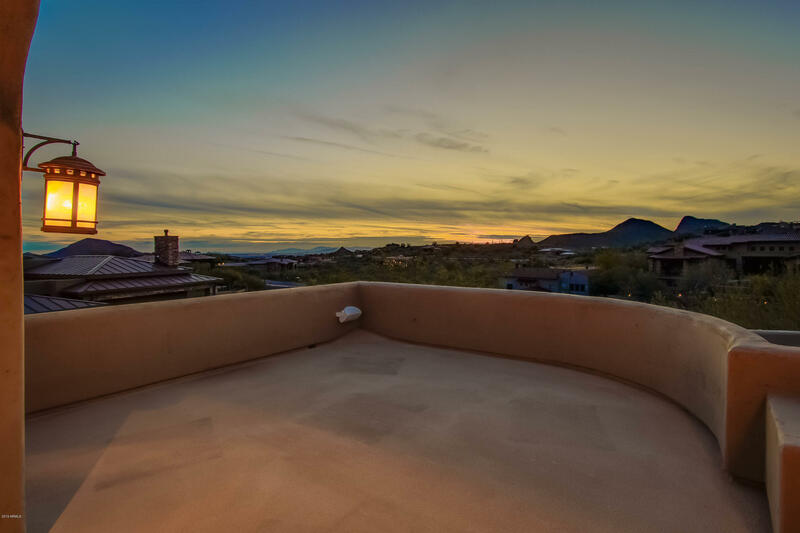 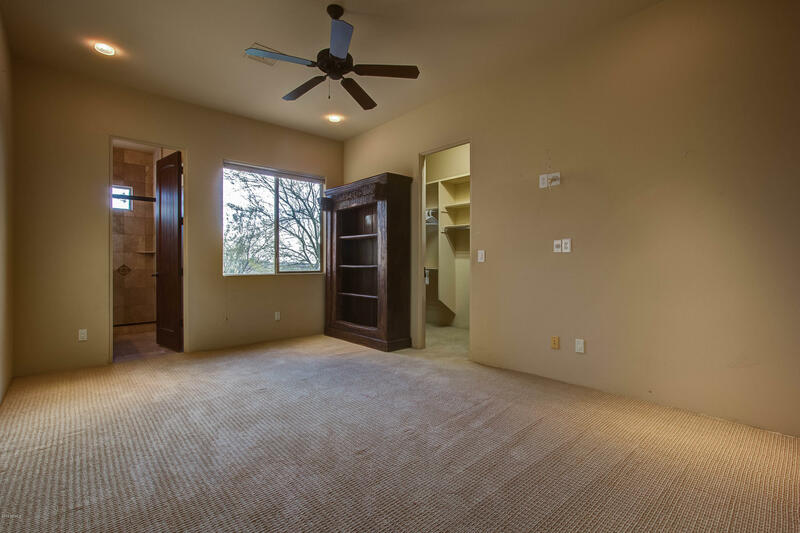 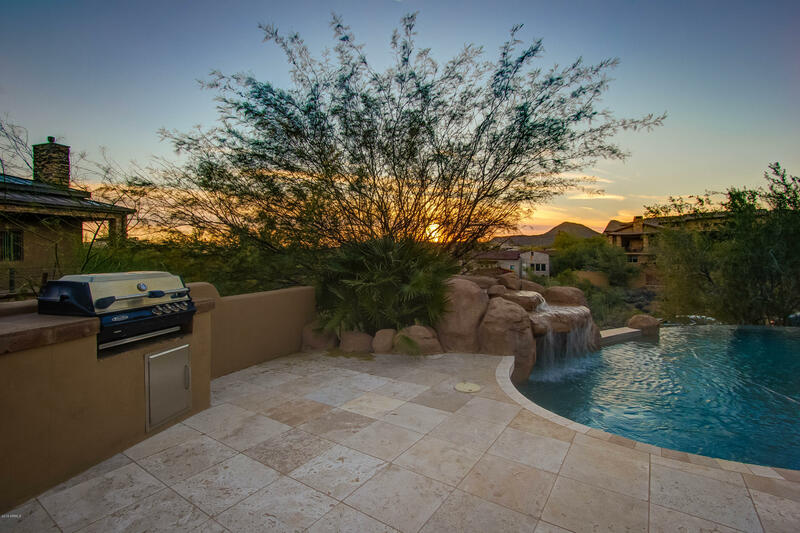 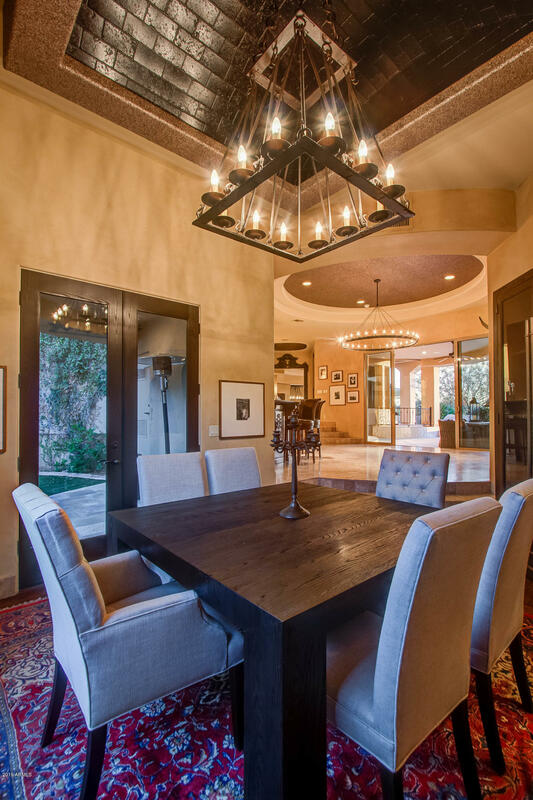 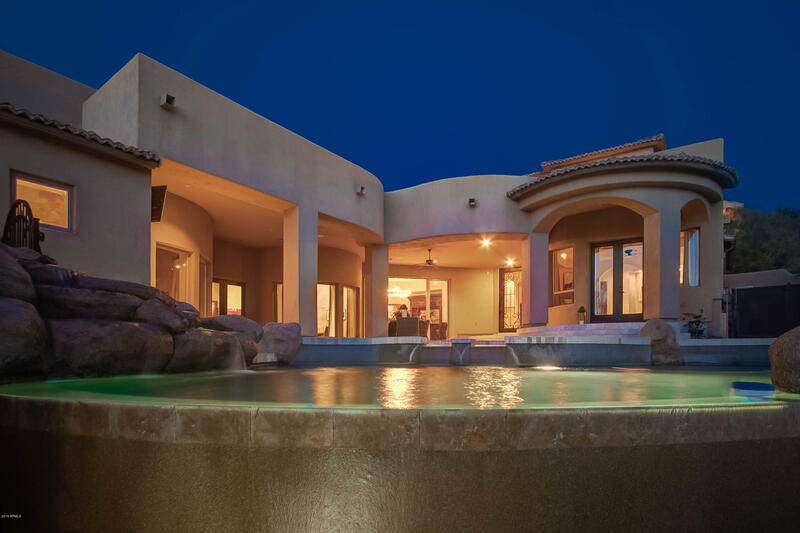 Welcome home to the gated championship golf community of FireRock Country Club. 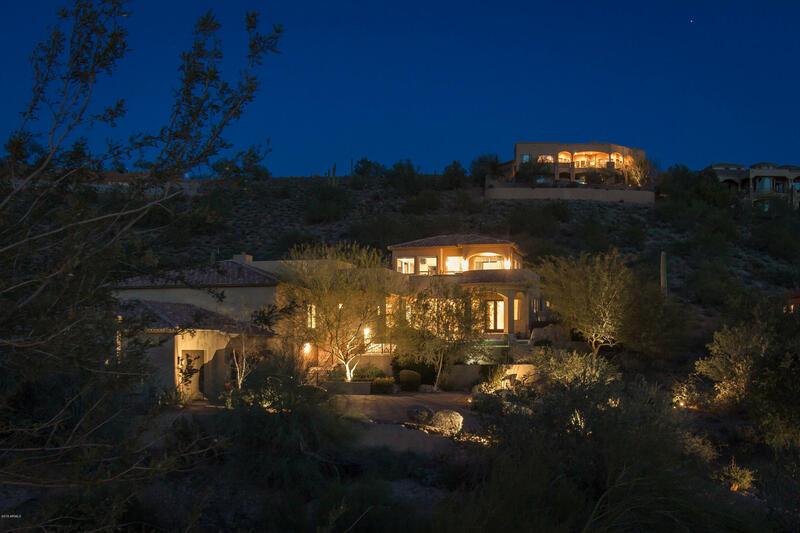 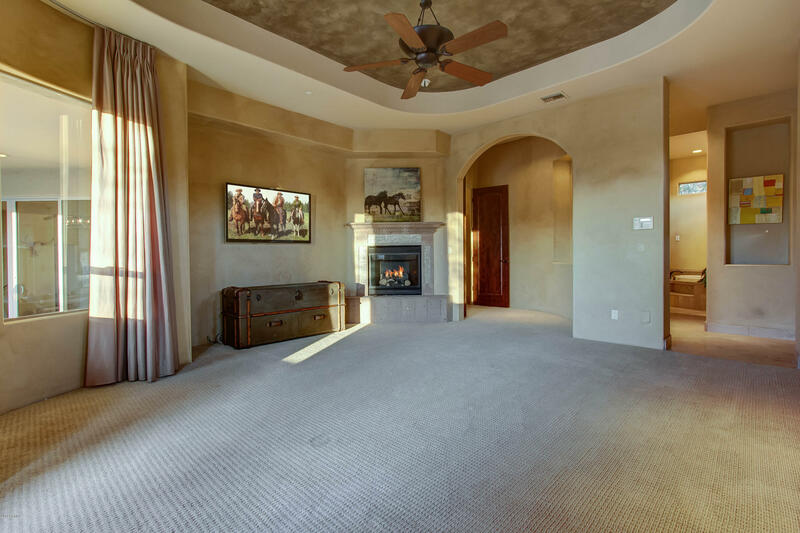 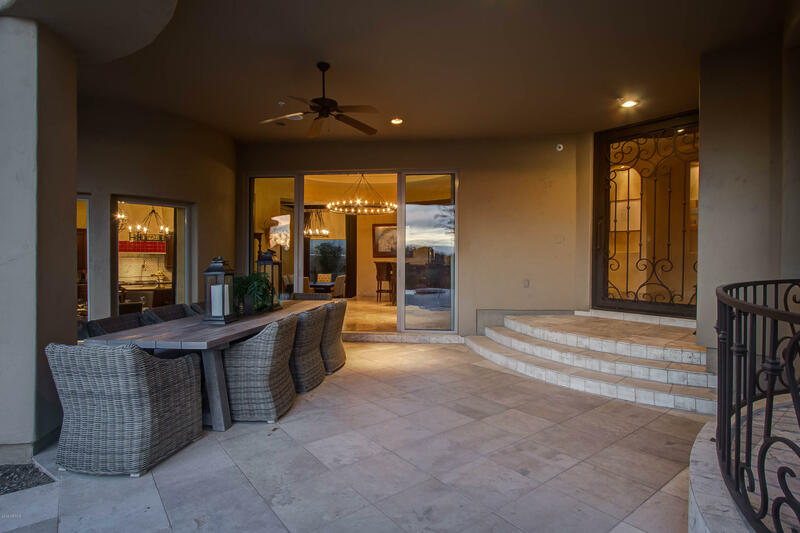 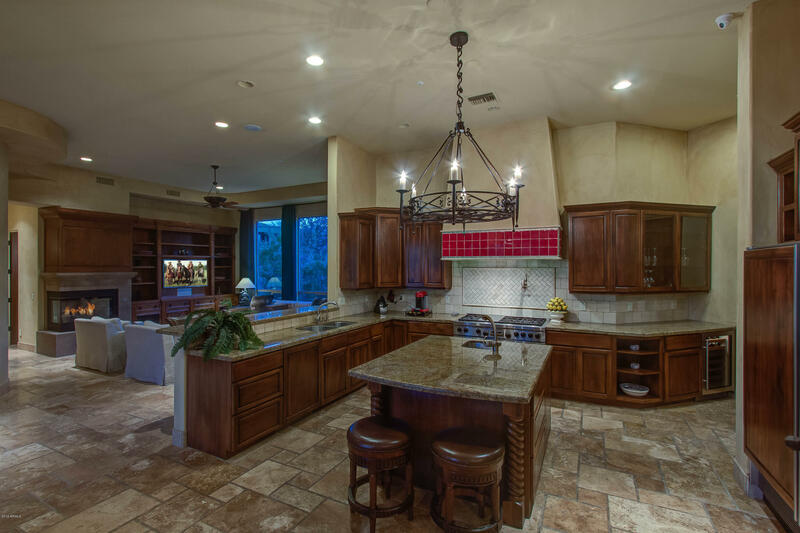 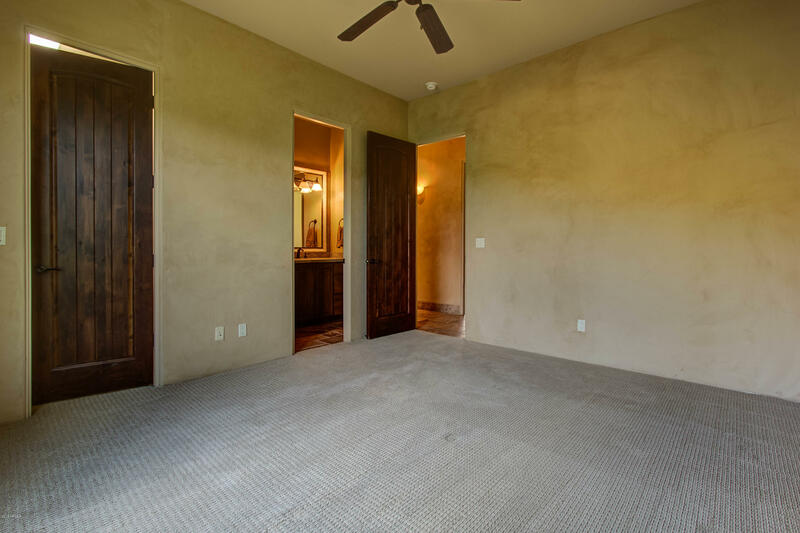 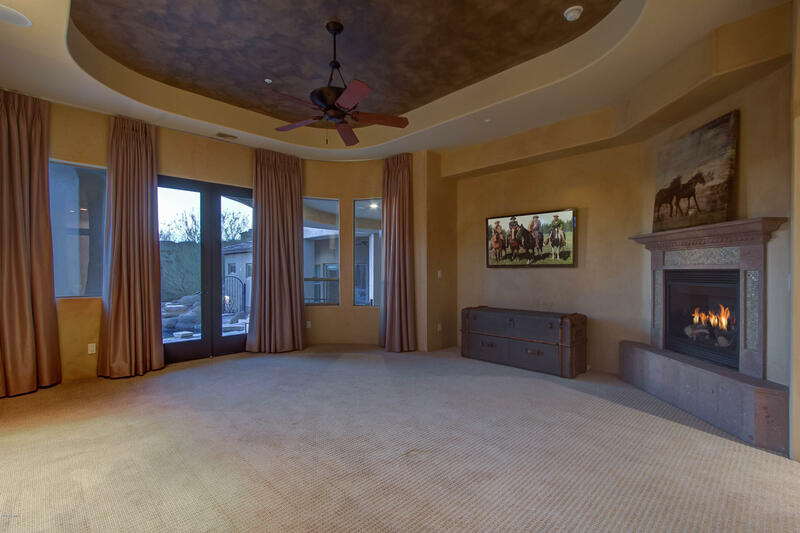 Nestled in the rolling hills of Fountain Hills just next door to Scottsdale, at the end of a long elegant driveway this 4 bedroom, 4.5 bath, 4679 sqft home on more than an acre, is everything you could desire in an entertainer's paradise. 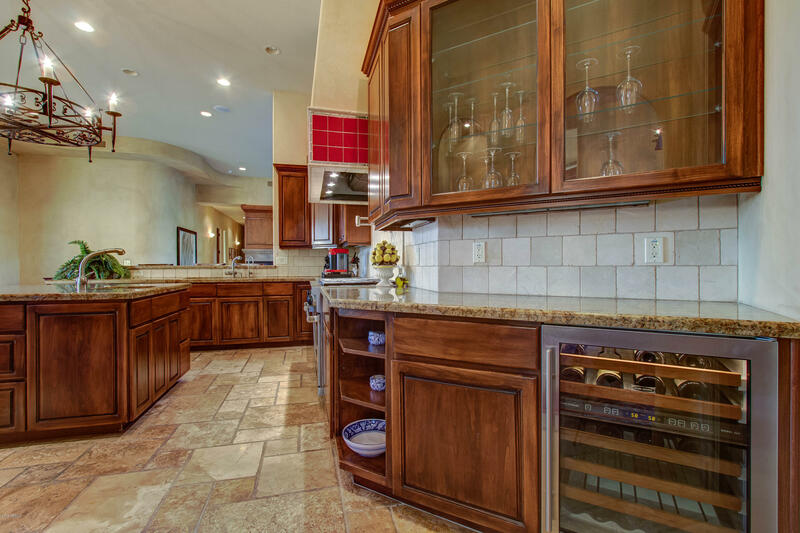 The heart of the home is a large gourmet kitchen with professional Wolf range w double ovens, Sub Zero refrigerator/freezer, custom wood bar off the elegant dining room, great room with fireplace and carved wood bookshelves, breakfast nook with curved windows overlooking the infinity edged pool and greenery and deep outdoor patio. 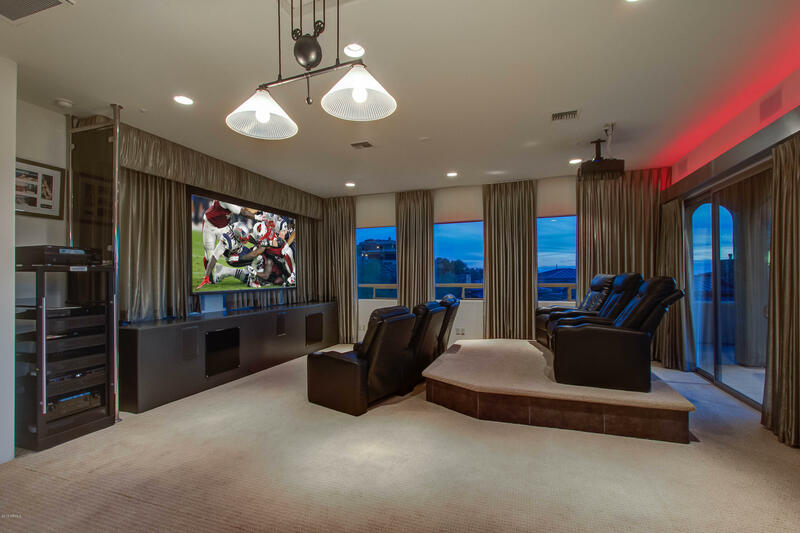 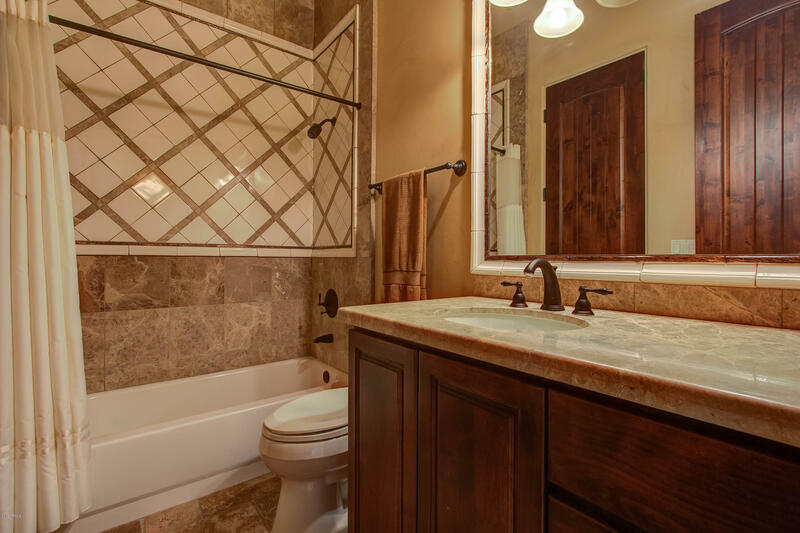 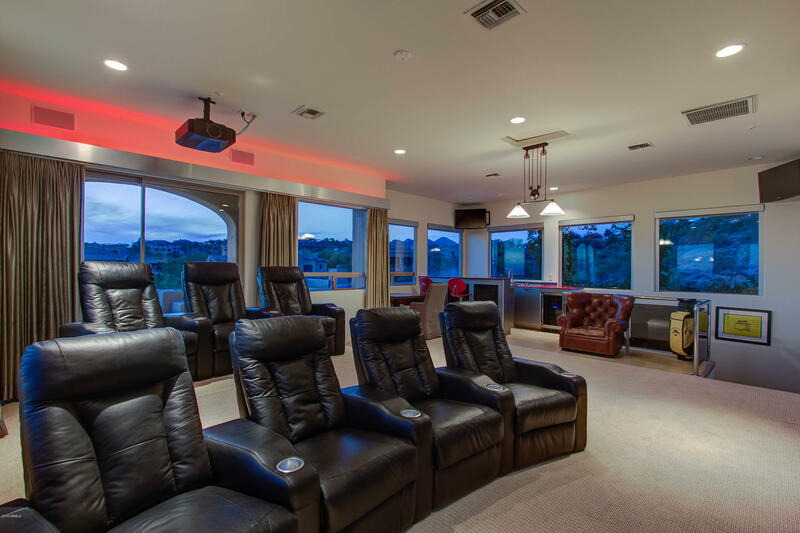 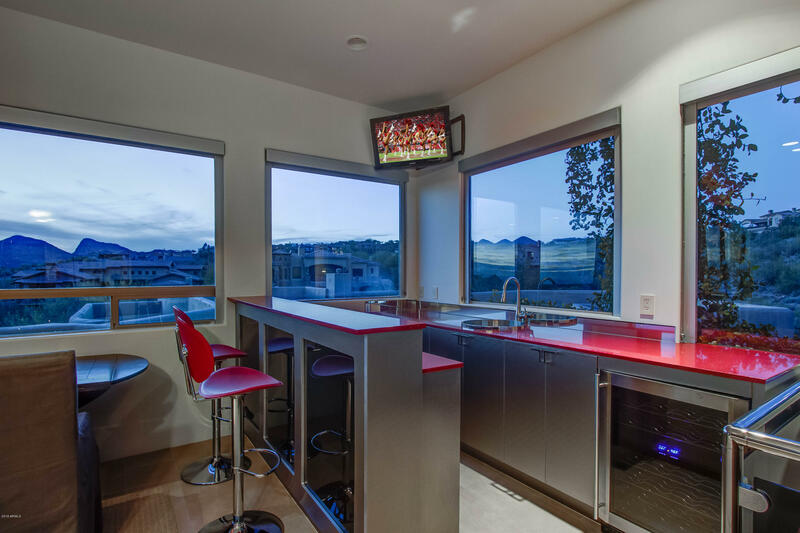 Upstairs is a large movie theatre and sports room with wet bar and balcony boasting amazing views for your guests. 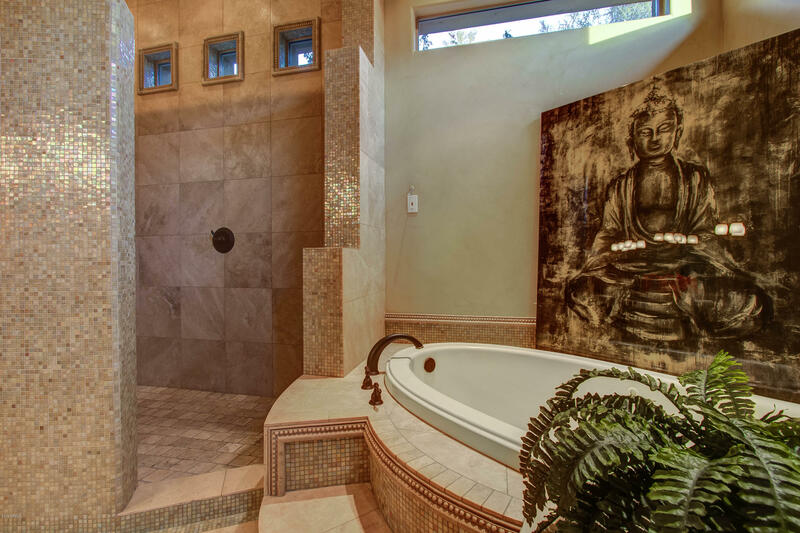 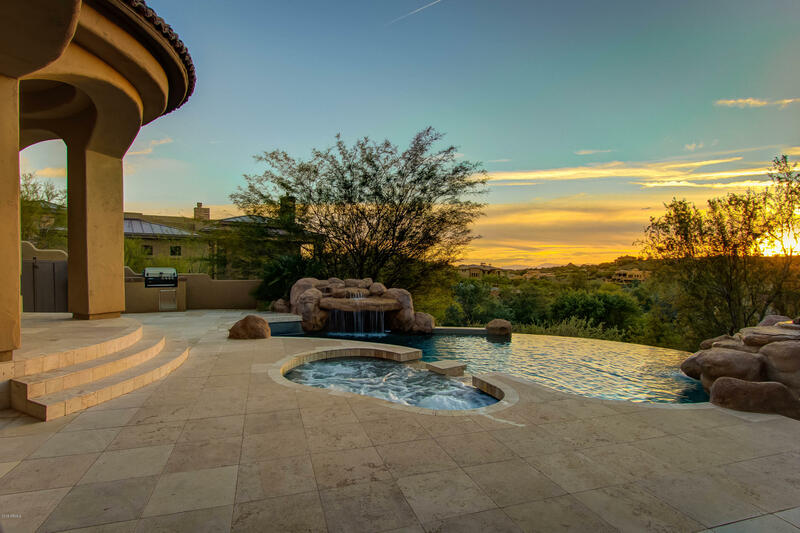 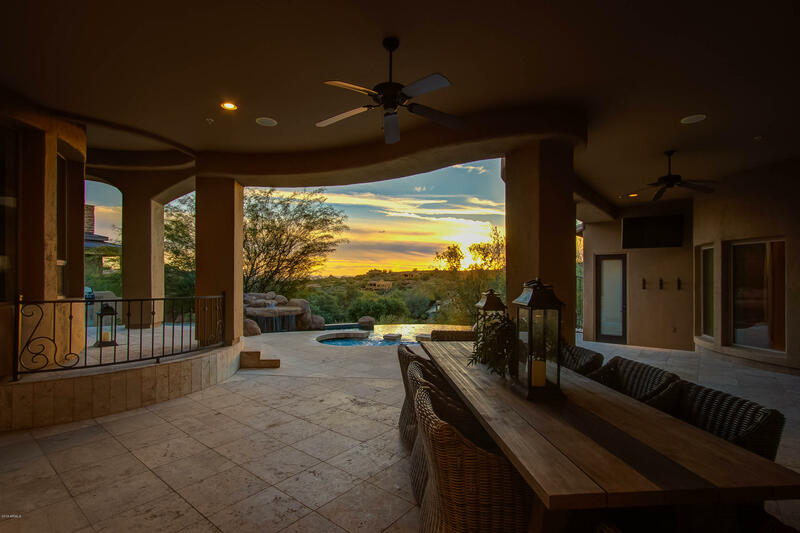 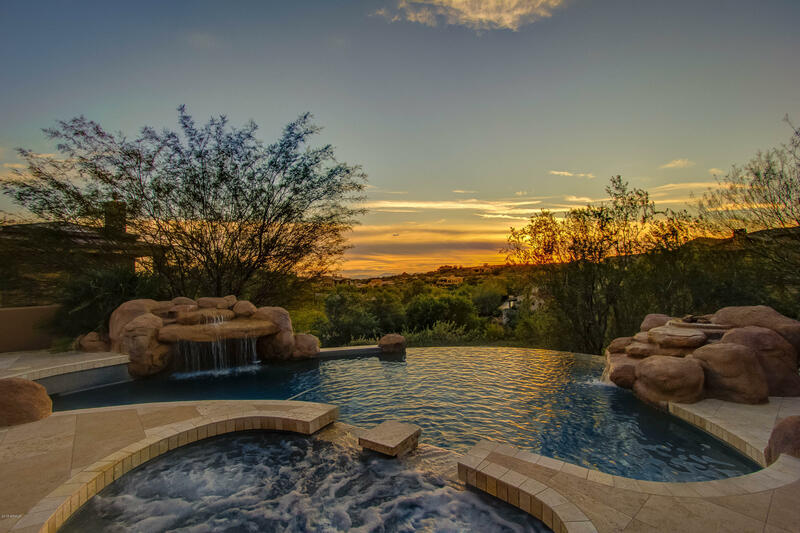 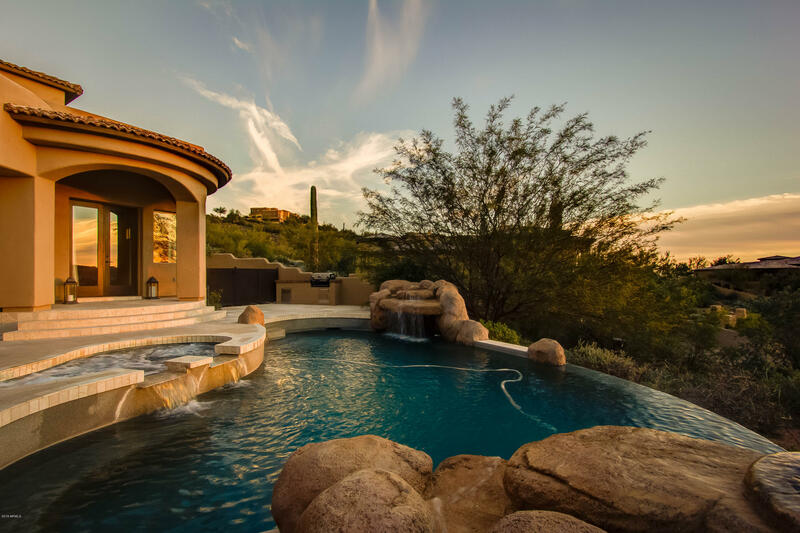 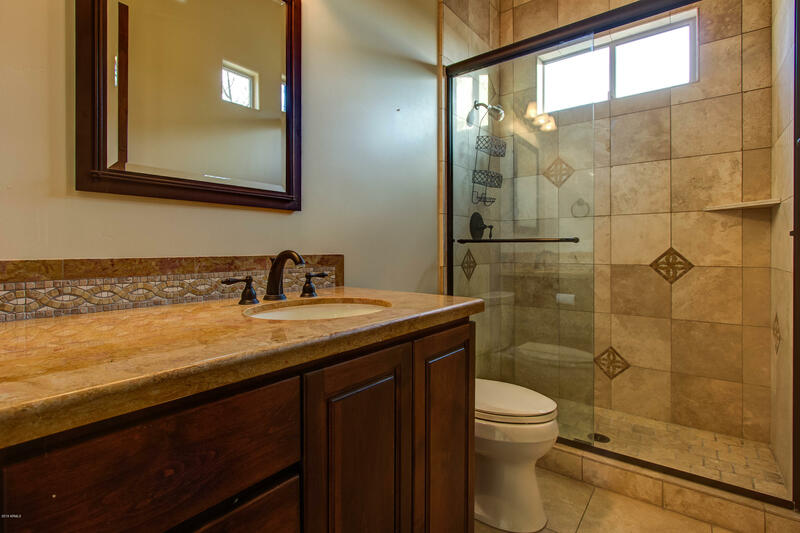 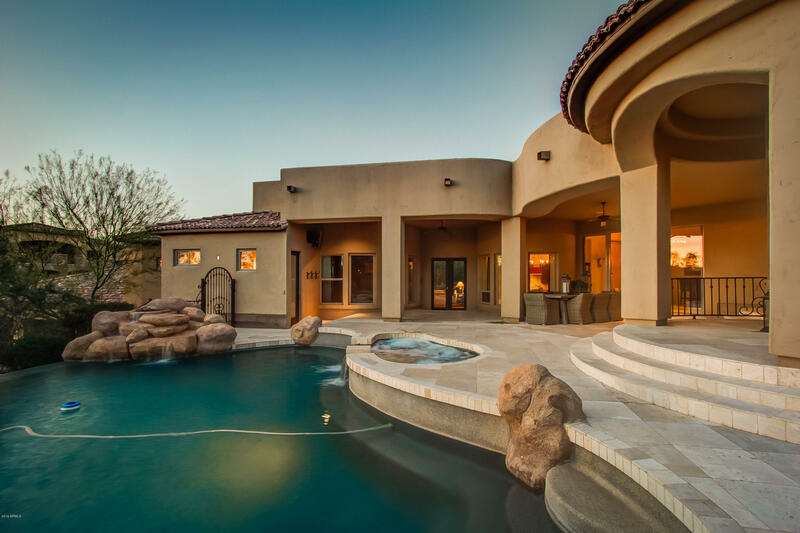 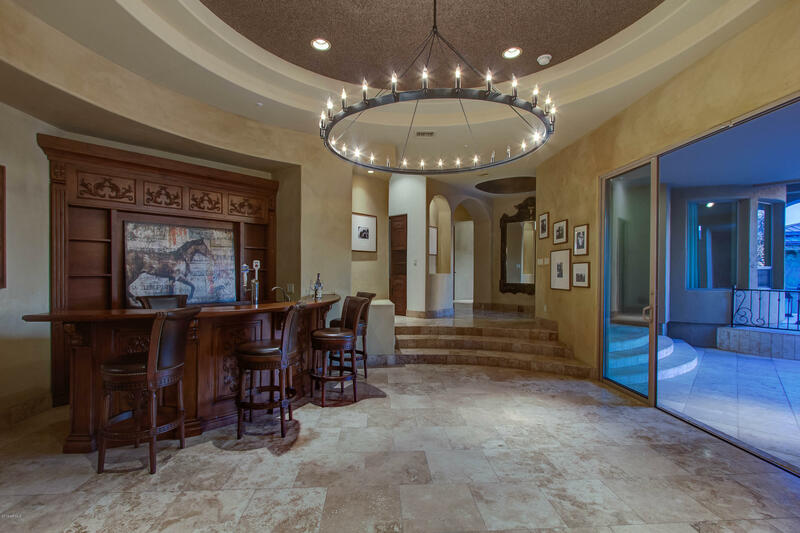 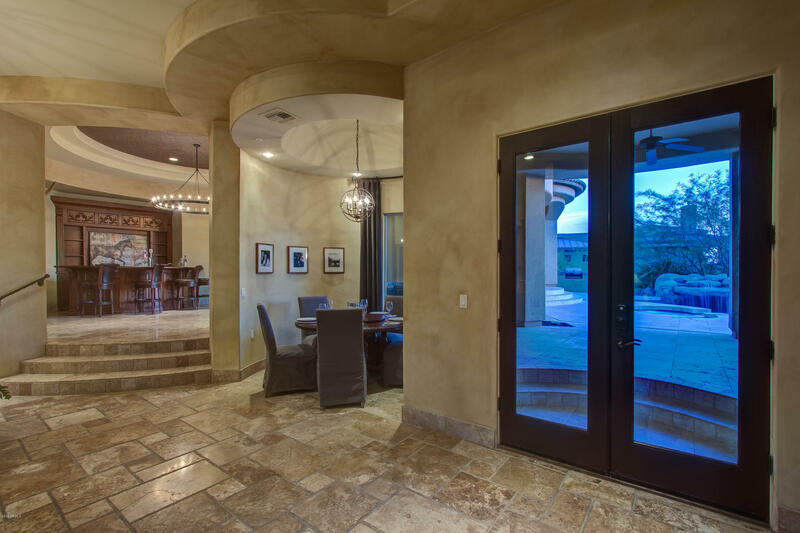 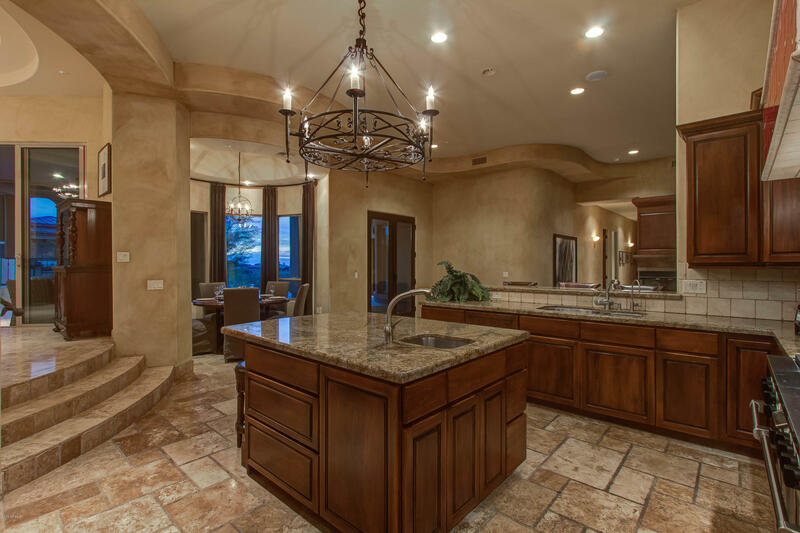 Arizona Luxury Living!